This weekend I am in Birmingham with 40 teamies crafting on our annual craft retreat! It is one of the highlights of my year and alway a pleasure to spend time with like minded people crafting. Also helps the venue is right next to Selfridges in the Bullring too! 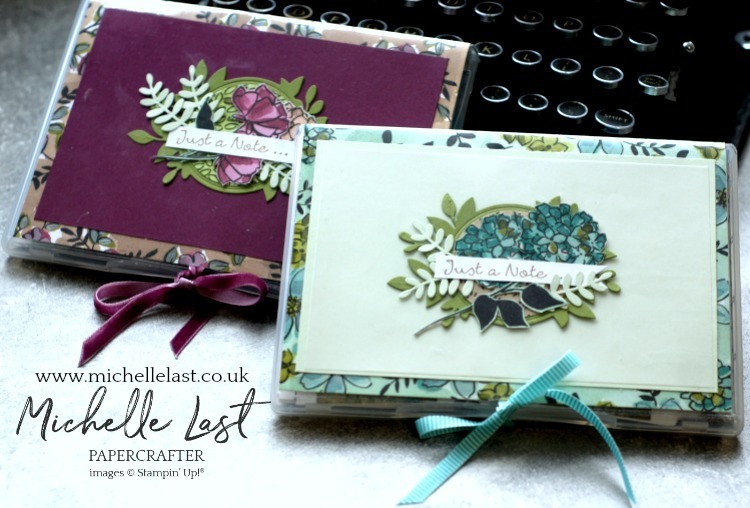 I created a make and take for them to complete over the weekend and as all my new stash had not arrived I reached for the Southern Serenade stamp set and created a beautiful vintage notecards set using one of our thin stamp cases (think DVD box). I used our Narrow Notecards and also the Memories & More Small cards and envelopes which fit perfectly inside a DVD case with room for a small pen too. 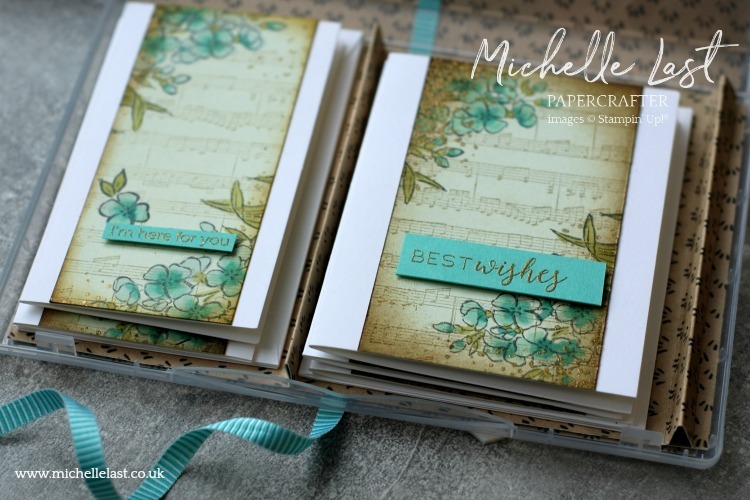 The centre panel on the notecards is the beautiful Soft Seafoam cardstock which has been stamped with the Sheet Music Background stamp. There is a mix of sentiments from Itty Bitty Greetings and Stitched All Around which have been embossed onto Coastal Cabana Cardstock. 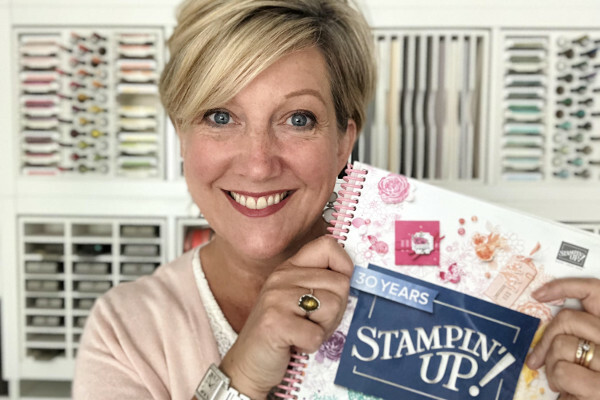 I used one of our stamp cases to hold the vintage notecards and covered it with the gorgeous Share What You Love Designer Series Paper. 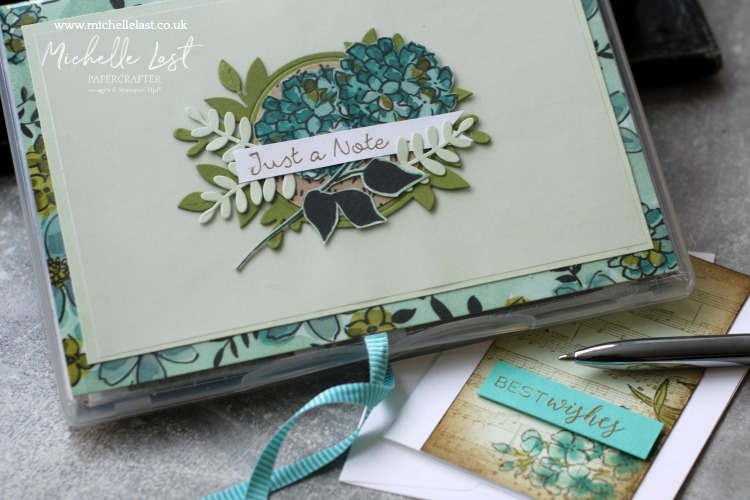 The label for the front of the box is made using a mix of beautiful die cuts from new framelits introduced in our new annual catalogue and the Share What You Love DSP. I fussy cut the flowers on the front from the Share What You Love DSP and added just a note greeting from Better Together Stamp Set. There is some gorgeous paper in the Share What You Love DSP pack in Rich Razzleberry so I made another using the Rich Razzleberry Combo. 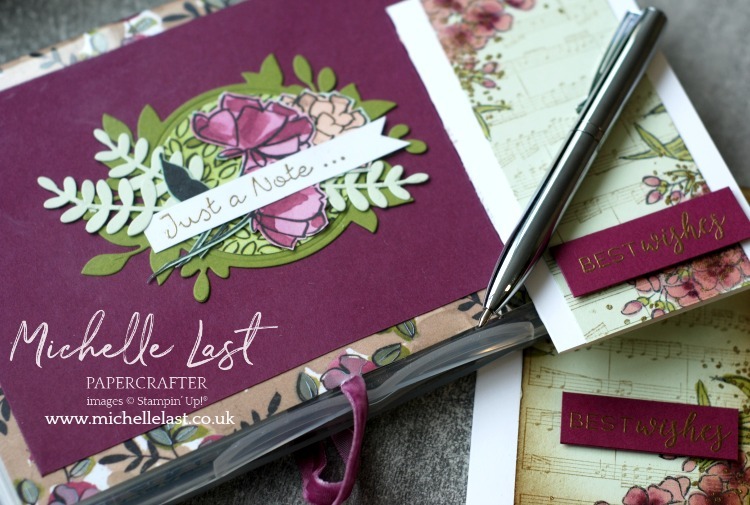 The Rich Razzleberry Vintage Notecards look lush in Rich Razzleberry Stampin Blends too! I really hope the ladies at my team retreat enjoy making this project. I am offering a June Special, anyone ordering with me in June will receive a pdf with the instructions on how to make this project as a thank you from me! All the products I used to make this project are shared below. Click any of the images to go direct to that item in my online shop. If you place an order for £20+ and less than £150 please use the monthly hostess code to receive a free thank you gift from me as I really do appreciate you supporting my business. Thank you so much, wishing you a wonderful weekend! Beautiful! Curious how you made those cute posies in the corners? wow, these gifts are absolutely stunning, thanks for the great idea, I need to make one of these.